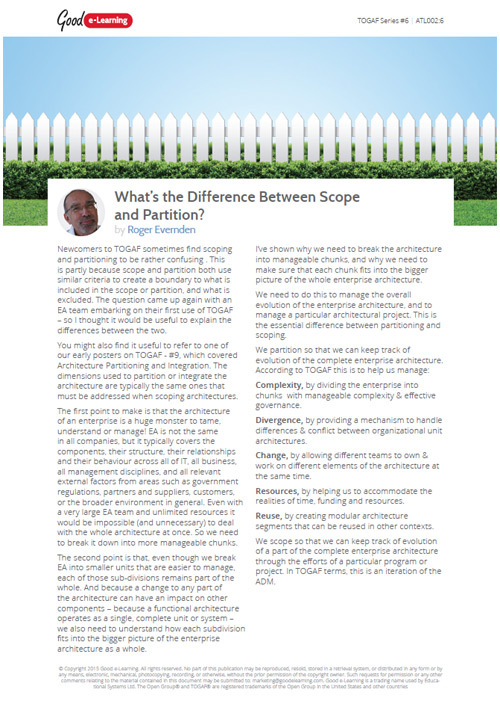 What's the Difference Between Scope and Partition? There are some things in TOGAF that confuse practitioners over and over. The difference between scope and partition is one of those confusions that comes up as a regular question. In this article we explain the key differences, and explain why TOGAF can be confusing.